The heat wave inundating the East Coast this week might cause cockroaches to go airborne. It was 97 degrees with 65 percent humidity in New York City on Saturday, Aug. 13. Sunday wasn’t much better at 93 degrees with 50 percent humidity. In all, about 105 million Americans are feeling the heat, with heat alerts being issued across the mid-Atlantic states, according to CNBC. Entomologists say the sweaty conditions are ripe for cockroaches to get more active—including flying. 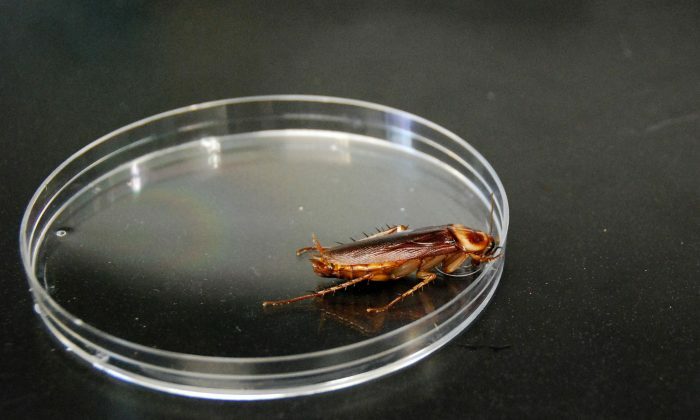 Srini Kambhampati, a professor at University of Texas at Tyler, said that cockroaches rarely fly. Ken Schumann, an entomologist at Bell Environmental Services added: “In hot steam tunnels, something with the temperature and the humidity encourages them to fly. When it’s warm and steamy that seems to be what they like,” DNAInfo reported. Another expert says that cockroaches who fly are likely trying to find a spot to get cool. “They get energy from the warmth around them, they’re less active when it’s cooler,” Dominic Evangelista, who has a Ph.D from Rutgers and specializes in cockroaches, told WNYC.